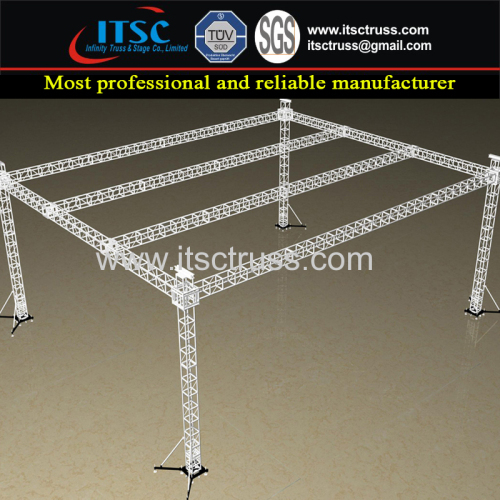 This 4 Tower-Based outdoor Flat Roofing is a structure for the Roofing series. 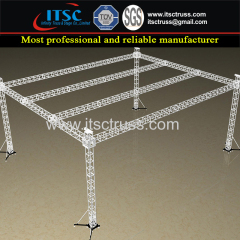 It is 16x12x8m high composed with Main Grid 4000x4000mm Quatro Trussing and 400x400mm as Pillars. 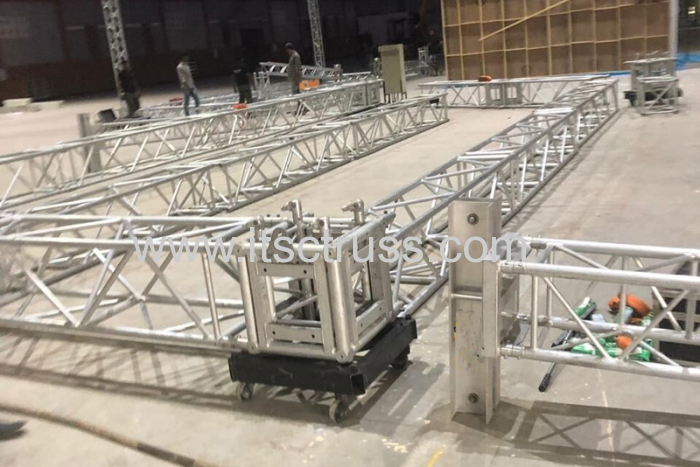 The Truss System is combined with the Aluminum Mobile Stages which is 15.86 x 10.98m dimension and 4x8ft/pcs red colour. 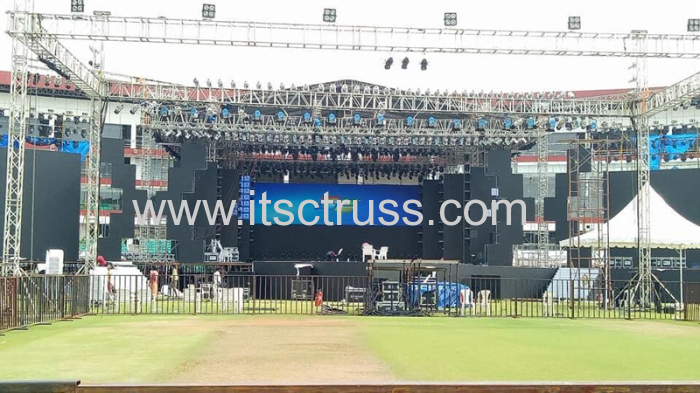 And the Stages are equipped with the steps and guardrail which keep you safe. This flat trusses roof is installed in India.